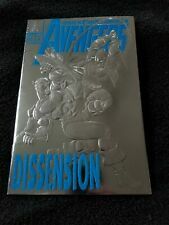 Marvel AVENGERS DISSENSION 30th anniversary comic. Vol 1. No. 363. June 1993. Lot of 3 Avengers Chromium Foil Cover Comics 360, 363, 366 (1993 Marvel) Epting! 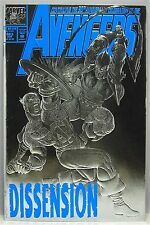 AVENGERS Vol.1 #363: "A Gathering of Hate!". June 1993, Marvel Comics. NM. This page was last updated: 21-Apr 02:09. Number of bids and bid amounts may be slightly out of date. See each listing for international shipping options and costs.